Have you heard about the latest Google Algorithm change? On March 12th, Google released a Core Algorithm Change, which was confirmed a day later by the Google team. But what does this mean and how can it impact your website and your business? The first thing to understand is the way that Google ranks sites. 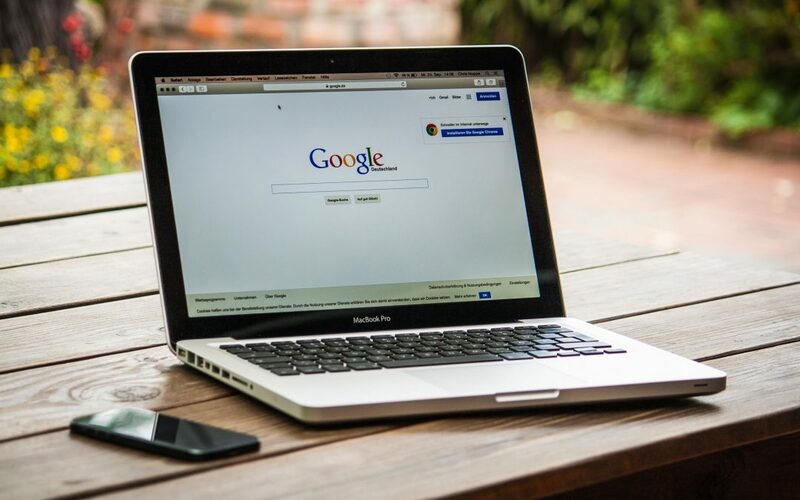 The Google algorithm is the way that the search engine weighs up a huge range of different factors and decides which web results are going to be displayed to the searcher, and in what order. The exact nature of the Google algorithm is not known, and it’s always changing as search changes and improves. This is one of the reasons why you may see keywords move around, despite not making any changes to your site. Why Do Algorithm Changes Matter? Now you understand that the algorithm is used to rank web results, it follows that changes in the algorithm will lead to changes in the ranking. Small changes happen all the time and are rarely confirmed. These are unlikely to make a meaningful impact on your site traffic, especially if you are doing SEO work to improve your positions. Big updates are different. A big update, such as the core one that we have seen in March, can dramatically affect positions, and this will have a knock on effect to the traffic of your website. Reduced traffic means less customers for your business, which is especially relevant if organic search is one of your main sources of traffic. When Was the Last Google Algorithm Change? While small changes take place all the time, the last confirmed change took place in September 2018, and there was one the month before as well, in August. These core updates tend to affect all sorts of sites as they are broader and not focused on specific issues. This can also make them more difficult to engage with. An example of a more specific update would be the ‘speed update’ in July 2018. This update used the speed at which a webpage loads on a mobile device as a ranking factor. Not only was this algorithm announced at the beginning of the year to allow the website to prepare, but there was also a straightforward way to fix any drops that it caused – improve your mobile load speed! We advised our SEO clients months in advance on how to prepare for this update and provided improvements to several sites. While the March update is the first confirmed update of 2019, many resources indicate that other updates that have affected traffic have been taking place since the beginning of the year. Have You Been Affected and What Should You Do? If you’ve noticed a sudden and sustained change in your positions around the 12th or 13th of March, it’s likely that the core update has made a difference to your site. With more specific updates, there are normally clear changes you can make to your website which will improve the rankings. Broad updates like this one are difficult to respond to. Google themselves are often reluctant to discuss these changes because they do not advise making any changes to respond to them. Our SEO team have been studying the change and keeping up with the latest analysis online. We would advise that the change appears to be in line with Google’s priority of high quality content and a positive customer experience. This should be the foundation of an SEO strategy, and as a result we have seen mostly positive movement for our clients following this update. The nature of search is uncertain. Updates can take place at any time which may impact your site’s positions. But uncertainty does not equate to randomness. Having been in the SEO business for over 18 years, we have seen huge changes in search. It’s important to understand that overall, search engines strive to provide good quality results. While some updates may call for specific action, following best practice and staying on top of your SEO work will always give good results. Our years of experience have given us an excellent understanding of when to wait for positions to stabilise and when to make changes to boost them. We keep up with all the latest Google updates and recommendations so that we can get the best results for our clients. If you’d like to talk more about how this or any update has affected your site, get in touch with us today on 0333 332 6396 or fill in our contact form to book a free, 15 minute SEO consultation.